This version of ChemBioDraw released in August 2012 is the first release since Cambridgesoft became part of Perkin-Elmer and there are a significant number of changes. This is the first version to be released since the introduction of Mac OS X 10.7 and 10.8 and both are now officially supported. 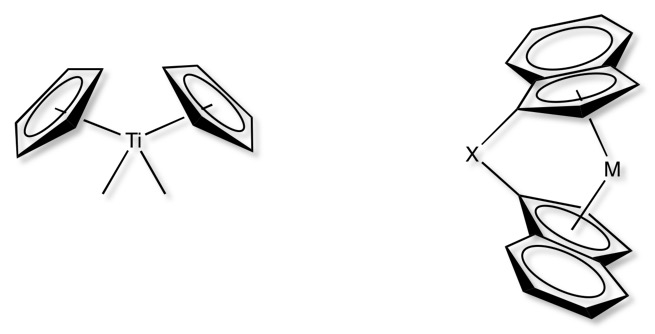 In addition the ChemDraw plugin is now supported in 64 bit mode and Microsoft Office 2011 is supported. Due to the changes in the security settings you may get an error message saying it can’t be installed because it is from an unidentified developer, if you do just go to system preferences. On installation ChemBioDraw creates several folders in the users documents folder, Stationery” and “Templates” which are used to store user generated files, the location of these folders can be changed during the installation if you want to share them with different users. When you first open the application it all looks fairly familiar but on closer inspection there are a number of changes. As you can see from the images of the “Tools” toolbar below the version 13 has been slightly modified (highlighted in red) and a few of the icons updated. The “Advanced Tools” in version 12 is now “Chromatography Tool” and now includes both the thin-layer plate and a new Gel Electrophoresis Plate Tool that provides arbitrary rotation for lane labels, drag and position band labels, paste data from Excel or other sources, and copy and paste between lanes. The “Templates” sports a new icon and and an extended selection of new templates particularly focussing on the biological sciences, with Advanced BioDraw, Anatomy, Animals and Bio instruments all having extra templates and a new section “Bugs” displaying a selection of insects, for chemists there are “Metallocenes” which could be a boon to those involved in organometallic chemistry. 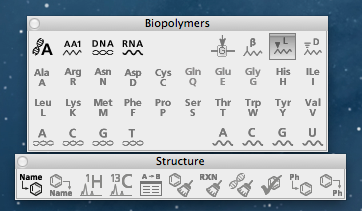 There are two new toolbar options a “Biopolymers” toolbar with disulfide and lactam bridges, beta and D-amino acids, DNA, RNA, protecting groups and linkers and a “Structure” that gives quick access to a number of often used menu options such as “Clean”, “Structure to name” and generate NMR spectra. The “Paste Special” option from the main toolbar now includes a couple of new options allowing the user to paste peptide, DNA and RNA sequences (in FASTA format) and have them interpreted chemically with sequence wrapping and shaping. This works very nicely. The ‘Toggle Amino Acid Style AA1<->AA3’ command lets you change the amino acid representation from single to multi-letter, and vice versa. There are also a number of other tools for handling biopolymers. There is now an option to colour by element, and the users can edit the colours used in the View>Show Periodic Table Window. 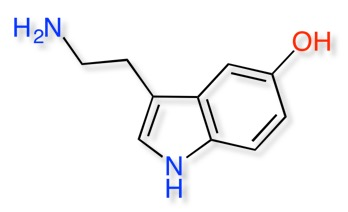 Historically ChemBioDraw application would put a PICT of the image on the clipboard with chemical information embedded into the PICT image, so that when that PICT image was transferred back into ChemDraw, the ChemDraw application would be able to interpret the picture as a chemically meaningful object that could be edited by ChemDraw. However PICT is no longer supported by Mac OS X and in newer applications, the use of PDFs to transfer copied images is now what is expected. CambridgeSoft has made changes to updates to ChemDraw 12 and 13 so that instead of only using the now unsupported PICT format, they embed chemical information into the PDF that gets placed on the clipboard when copying a structure in ChemDraw. However the application that this PDF gets pasted also needs to handle the PDF correctly, such that the chemical information is not stripped out. This works with the latest version of Keynote and the Microsoft Office 2011 labeled 14.0.1. Note: you must have the “Add PDF to Clipboard” preference checked in ChemDraw for this to work with Microsoft Office 14.0.1. This will not work with older versions, or documents created with older versions if you open them with the latest version of Microsoft Office. Collaboration is easier as scientists can now use Dropbox™ to save , share and import ChemBioDraw structures, reactions and drawings using a sharable Cloud location. We see that you've added a new app, 'ChemBioDraw', to your Dropbox. Awesome! You can check on this and any other apps you&rsquo;ve added by visiting your account page. and then upload the file to the Dropbox folder, You can create a new folder by either double-clicking within the folder list column, or double-clicking the Create new folder link. This integration is nice, but readers might also be interested in an Applescript I wrote http://macinchem.org/applescript/mailDropboxLink.php this copies files to your Dropbox and allows you to send an email notification. It also copies an image of the file to your Dropbox so you can see the structure even if you don’t have ChemBioDraw or if you are viewing on an iOS device. This also highlights another significant change, in the past you could store Applescripts in the ChemDraw items folder and a “Scripts” menu item would magically appear. It does not appear to be possible to do this now . 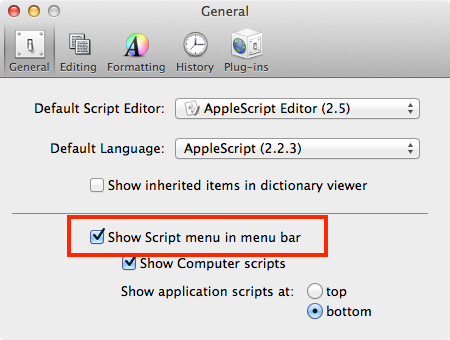 An alternative is to “Show Script menu in the menu bar” which is available from the Applescript Editor preferences as shown below. You can then create application specific folders and put the scripts in them. ChemBioDraw is available in Mac and Windows versions but not available on any of the increasingly popular mobile or tablet platforms. ChemBioDraw licensing has also changed, there is now the option to buy a one year license as well as a perpetual licenses. There are also academic and upgrade options as well as a free trial. If I’m honest there are few compelling new features for the chemist unless they have the need to draw biomolecules, the focus of this upgrade seems to be biologists. However it looks like there have been significant changes “Under the hood”.